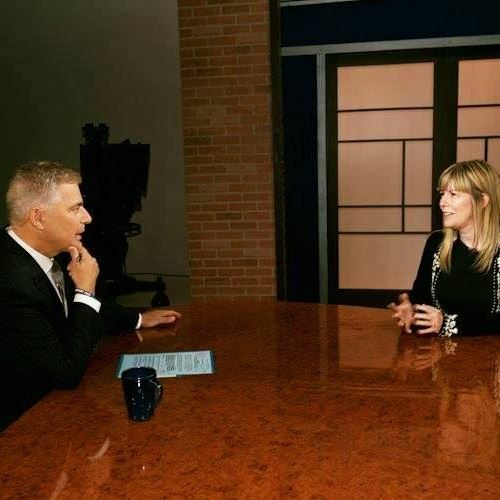 Recently, I had the pleasure to sit down with Dr. Steve Adubato on his program, Caucus: NJ with Steve Adubato, to discuss the benefits of exposing infants to music. It is a subject that I am passionate about and one that I have studied more this past year through taking the First Steps in Music for Infants, Preschool, and Beyond Certification Course taught by Dr. Missy Strong and written by Dr. John Feierabend. In addition, reading the research done by Dr. Edwin Gordon and the studies of Zoltan Kodály’s approach and Carl Orff’s approach to teaching music to young children. Their influences gave me the confidence to speak about this topic on Steve’s show. The Caucus Educational Corporation (CEC) is a non-profit, educational multi-media production company that produces a variety of programming to keep NJ citizens informed on an array of topics (found at http://steveadubato.org/about/caucus-educational-corporation.html). In 1994, Steve, along with a group of entrepreneurs in the public television community, started the corporation to provide video programming on topics such as education, healthcare, the arts, politics, economics, and more. There are three weekly programs on public television stations, as well as cable and the internet: Caucus: NJ with Steve Adubato, One-on-One with Steve Adubato, and State of Affairs with Steve Adubato. Right From The Start NJ (rightfromthestartnj.org) is a public awareness campaign created to educate the public and New Jersey policy makers about the critical importance of the early years (especially ages 0-3) of child development. On Steve’s shows, he has had panel of experts speak to the research about the neuroscience of an infant’s brain. In addition, they spoke to the importance of infants receiving proper child care, nutrition, health care, assistance, education, arts, and more, right from the start. The series of videos found at https://rightfromthestartnj.org/videos.html hooked me into studying more about the importance of how to educate children from the ages of 0-3. Though I was extremely nervous, I felt that the interview came out very well. There were a couple of times I tripped over a word. However, all in all, I was very honored to be interviewed by Steve and to be able to advocate for the arts for our youngest of students.